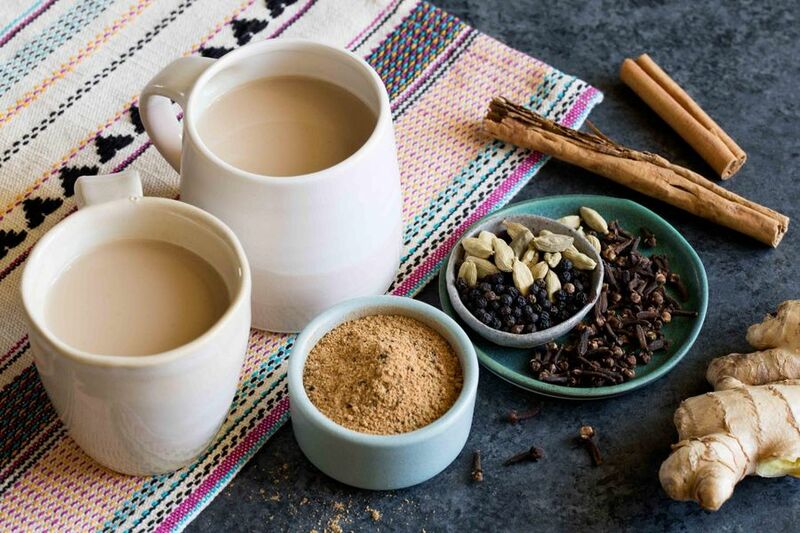 When Sun Basket Executive R&D Chef Alan Li was a student at the California Culinary Academy, he learned how to make this classic Indian spiced tea recipe from the instructor of his International Cuisines class. She began every morning by brewing a pot of chai, filling the hallways with its fragrance, and drawing students to the room to share a cup before beginning their day. While this recipe calls for regular whole milk, it’s also delicious made with almond milk. In a small airtight jar or container, combine the ground ginger, black pepper, cinnamon, cardamom, cloves, and nutmeg. Stir or cover and shake well to combine. Store, covered, in a cool, dry place for up to 1 year. Measure ½ teaspoon chai masala spice blend (see recipe above). In a medium sauce pot, combine the water, milk, loose black tea or tea bags, and chai masala spice blend. Bring to a simmer, stirring constantly, then hold at a simmer for about 30 seconds. Remove from the heat and let steep for 2 to 3 minutes, depending on desired strength. Strain the chai masala tea into 2 mugs. Add the maple syrup to taste, stir to combine, and serve. Nutrition per serving: Calories: 60, Protein: 2g (4% DV), Fiber: 0g (0% DV), Total Fat: 2g (3% DV), Monounsaturated Fat: 0g, Polyunsaturated Fat: 0g, Saturated Fat: 1g (5% DV), Cholesterol: 5mg (2% DV), Sodium: 35mg (1% DV) (does not include pantry salt; for reference, ¼ teaspoon kosher salt added to the recipe averages 240mg per serving, or 10% DV), Carbohydrates: 8g (3% DV), Total Sugars: 7g, Added Sugars (Maple syrup): 4g (8% DV). Not a significant source of trans fat.